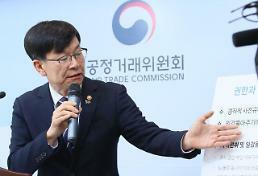 NEW DELHI -- South Korean and Indian leaders agreed Tuesday to strengthen economic cooperation between the two counties by using their complementary economic systems and potential. 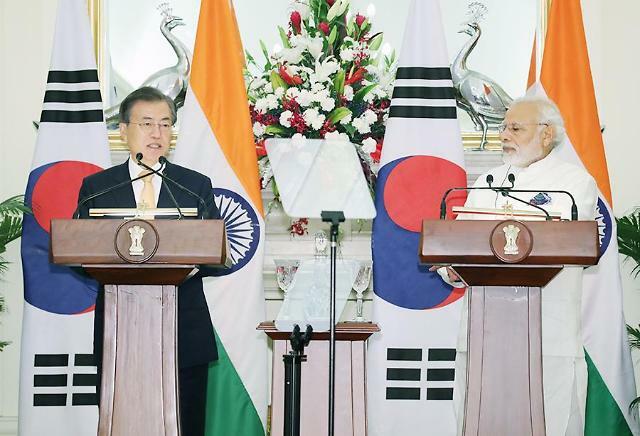 South Korean President Moon Jae-in and Indian Prime Minister Narendra Modi said in a joint press conference after their summit in New Delhi that they agreed to boost the volume of bilateral trade to more than $50 billion by 2030 from the current $20 billion. They discussed ways to actively push ahead with a "3P Plus" policy, designed to boost cooperation for the people, prosperity and peace, and develop growth engines in preparation for the Fourth Industrial Revolution. 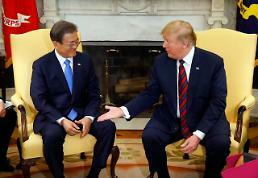 "Today, Prime Minister Modi and I agreed that now is the best time to actualize the strategic partnership between South Korea and India to the next level," Moon said, adding South Korean firms would invest more actively in India. 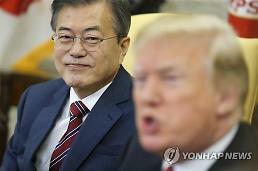 The two leaders also agreed to connect promising small and medium-sized businesses and startups and come up with actual plans to stimulate cooperation between them. The two countries will cooperate to get South Korean firms involved in the development of smart cities, power grids, railways and renewable energy in India. Moon called for expanded cooperation in artificial intelligence, electric vehicles, aerospace and information and communication.